Indeed, London was where the Mahatma studied law, learnt his politics and experimented with vegetarianism as a young man. It has been three years since the Mahatma Gandhi statue was installed by the Gandhi Statue Memorial Trust at Westminster Square in London. At the time setting it up had been quite a rollercoaster ride — but fortunately many people came forward to support the project and the incredible Philip Jackson masterpiece is now in the centre of the square, facing Parliament. The inauguration of the sculpture had been conducted in the presence of then Prime Minister David Cameron, Indian finance minister Arun Jaitley, Amitabh Bachchan, Gopalkrishna Gandhi and others. Later in the year, Prime Minister Narendra Modi joined us at the statue for some memorable moments, and a brief conversation about the work of the trust led by the chair, Meghnad Desai. The statue is now visited by millions every year — and one feels blessed to be a part of the trust. However, once the statue had been created, we found we had raised more money than was required. Being completely Gandhian in our values — the trust then decided to distribute some of the money among charities in the UK which were promoting Gandhi’s ideals. 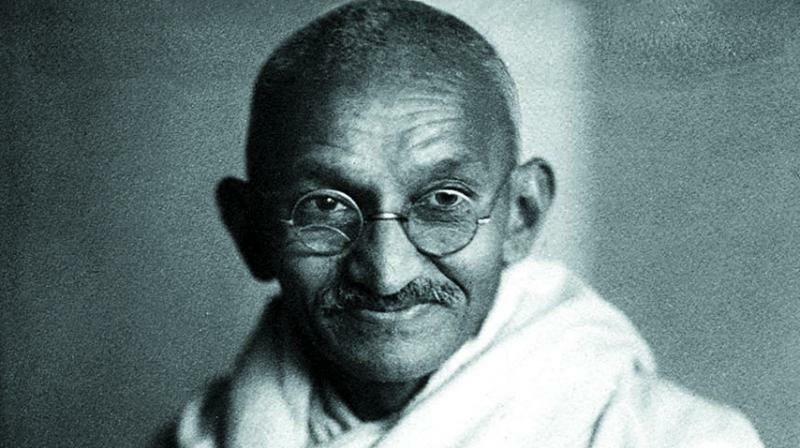 So last week, in a ceremony on January 30 (the day that the Mahatma was so cruelly assassinated), the trust paid tribute to his memory by awarding three grants to three UK-based charities. These had been chosen through an open call for applications from charities. Each of the charities finally selected is doing incredibly good work. For instance, Second Chance was founded in 1984, and cares for children who need special support. Thanks to the grant given by the Gandhi Statue Memorial Trust, Second Chance has acquired a garden centre, opening up a “whole new world” for the inner city young people — in an idyllic part of Hampshire, offering them accommodation, work experience and mini enterprise schemes. The other charity that received funds was the Spark Inside, which pioneers the use of professional coaching programmes in prisons, encouraging rehabilitation and reducing reoffending. The grant given by the Gandhi Statue Memorial Trust is now funding the Hero’s Journey, a structured life coaching programme for 15-to-25-year-olds, hopefully transforming these young lives. The third charity is the All One Collective, which works with a focus on asylum seekers and refugees. Through the grant from the Gandhi Statue Memorial Trust, a three-year “Stronger Communities Project” has been funded at Calderdale to promote positive relationships between British people from deprived communities and refugees, asylum seekers and newly-arrived migrants. The evening saw a special dramatisation of some key speeches by the Mahatma — and both Indian high commissioner Yash Sinha and Meghnad Desai spoke at this very moving ceremony at the Tara Theatre at Earlsfield. Indeed, London was where the Mahatma studied law, learnt his politics and experimented with vegetarianism as a young man. It felt good to give back to the city and support causes that would be dear to his heart! And so we do hope that the spirit of Gandhi will continue to thrive in the hearts and minds of all the young people these charities work with! But not all can demonstrate Gandhian restraint… as political fights have begun to out when people encounter someone bearing a contrarian view. Jacob Rees-Mogg is definitely a very right-wing Conservative who is one of those tipped to be Prime Minister if and when Theresa May faces a leadership challenge. He is somewhat old fashioned and likely to use Latin or 18th century English words in his parliamentary speeches. He has become something of a love/hate figure as an extreme Brexiteer. Recently he was the guest speaker at the University of West England in Bristol where a punch-up ensued because an “anti-fascist group” appeared wearing masks and hoods. After having been heckled and called a racist and a Nazi, at various points — Mr Rees-Mogg continued trying to calm down the protesters, when suddenly a scuffle broke out and a girl claimed she was punched in the face. But eventually, Mr Rees-Mogg won over his audience and proceeded to give his talk to the students who had invited him. Politicians from across the board have condemned the incident as violence or abuse, and not debate, appear to be becoming the new normal all over the world. One might disagree with politicians, but getting physical and issuing threats is obviously not the way forward. The event did not have a happy ending as the police had to be called in. And we thought political abuse happened only in India! Meanwhile, I now know we are going to be in for a season of the “War of the Wardrobes”, as the reigning queen of couture, the Duchess of Cambridge, Kate Middleton, is challenged by the suitable girl, Meghan Markle. So recently the media went into a fashionable frenzy when both Meghan and Kate stepped out wearing the same designer! Gasp! Alexander McQueen might be long dead and gone — but his label lives on. And so while Kate wore a pink gown, Meghan was smart and trendy in a suit, of course. It wasn’t exactly a duel at dawn — but it came close as everyone is wondering who is going to win this battle? Of course, as the wedding inches closer, there will be loads of designers we will all learn about... and why not? Earlier only the Brits were mesmerised by the royals — and now we are going to get the all-American razzle-dazzle!